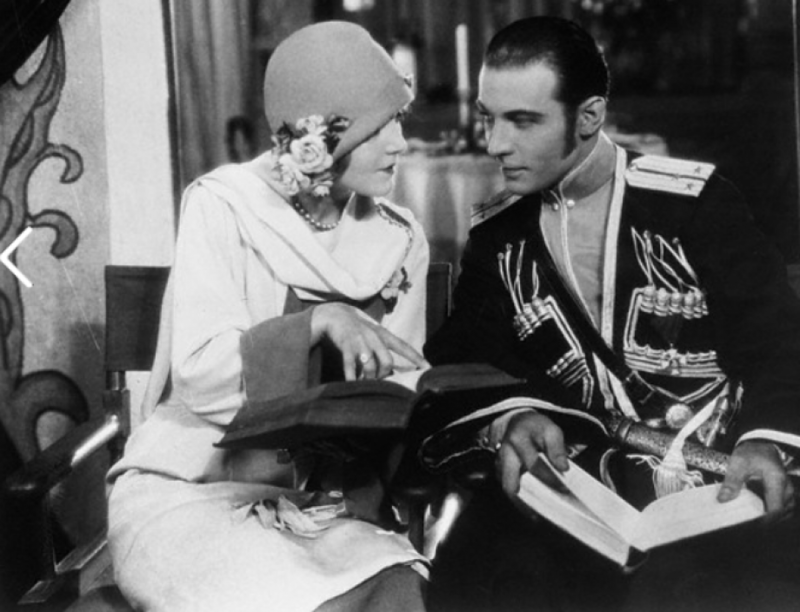 Being a bred in the bone feminist, I am sure glad to finally stumble across a story based on an interview with the former Mrs. Rudolph Valentino that gives her a fair break. Somehow the picture of Winifred Hudnut Valentino as the old stereo-typed Pekinese-fondling female did not ring true. And her lord and master’s outbreak anent his noble craving for home and fireside and children sounded quite posey and stagey and as though fresh from the fertile brain of that unoriginal lot, press agents, rather than warm and quivering from his own sorrowful heart. But most of the remarks accredited to Mrs. Valentino sound true. Her dissertation on the folly of an American girl marrying a European husband sounds mighty sensible to me. “Foreign men have such different ideas of marriage from Americans. Boys in Europe are taught to consider themselves much more important than girls. “These boys, brought up to consider themselves lords of creation, expect wives to be subordinate. A wife is someone to make him comfortable minister to his wants, provide sympathy when he needs it, and when he needs nothing, keep herself well into the background.” And we regard this especially worthy of thought, as it comes from the former Mrs. Valentino’s ruby lips. “Now I don’t mind doing all this, it’s a pleasure to make one’s husband happy and comfortable when one loves him. “But what wore me out was my foreign husband’s acceptance of all these things as though they were merely my duty, my day’s work instead of a consideration for him and a matter of love”. And apropos of Rudy’s paternal manifestations readers may recall his heralded yearning for offspring with which wifie wouldn’t oblige the ex-wife fires this one “Rudy might like noiseless, dressed-up children, but…” And that unfinished sentence is only What Every Woman Knows. Then about the matter of Mrs. Valentino working” “I worked because I was energetic”. “A man’s love doesn’t compensate for the boredom and depression of being a loafer”. “For a woman to give up all work just to devote herself to loving a man is a great mistake. Because only an egocentric wants a woman to devote her life to admiring him”. Well and ably spoken, Winifred Hudnut Valentino, or Natacha Rambova. “We’re for you! You have a good head, and said head has doped out a much better analysis of why your marriage failed than has either your erstwhile Rudy on his press agent.